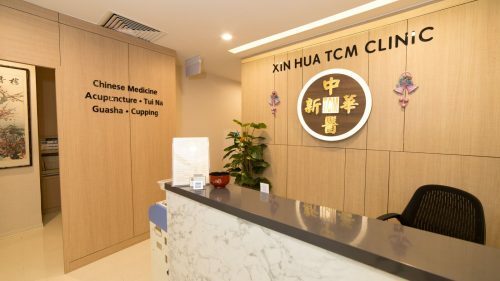 At Xin Hua tcm clinic, we believe in the holistic approach of delivering the best of TCM healthcare practices, offering maximum health care benefits to our customers. We are committed to providing professional TCM healthcare therapy at affordable prices making it accessible to the general public, bringing holistic care and lifelong health to all our customers. Our team of experienced TCM practitioners are licensed by the Singapore regulatory bodies. In addition, all herbal medication prescribed adheres to strict rules and regulations set by the local authorities in Singapore. We care for a wide range of conditions and illnesses including Postural imbalance pain, Sciatica Nerve Pain, Spondylosis, Sprain and injury, Tennis elbow, Slipped disc, Arm / feet numbness, Insomnia and sleep disorders, Stress and general fatigue , Migraine and headaches, Rheumatism / arthritis, Gout / high uric acid, Diabetes / kidney diseases, High blood pressure, Chronic cough and fever and General TCM medicine. Emphasizing the natural, preventive approach that is the cornerstone of Xin Hua tcm clinic, we also offer various treatment modalities such as acupuncture, cupping, Tui Na (Therapeutic massage), Gua Sha (scrapping) in our centres. Xin Hua tcm clinicoperates 2 TCM therapy clinics in Singapore. Xin Hua tcm clinic was established in year 2000, conveniently located in the heart of Singapore’s business districts. Xin Hua provides traditional Chinese TCM therapy/ treatments by registered tcm physicians and experienced therapists. Our Founder Physician Ms Wu Hua Ting specialized in TCM medical consultation, acupuncture, bone & muscular therapy, healthcare products /supplements and Chinese herbal medicines. We have 20 professional and skillful TCM Chinese female/male masseurs/therapists in Tui Na, cupping, Gua Sha and other treatments. Our physicians diagnose patient conditions and recommend appropriate treatment and TCM medication. TCM therapy is effective in the treatment of medical conditions with curative effect on the underlying cause. It can also be used for general health maintenance and prevention of illnesses. TCM has a rich history of over 5,000 years of practice in China and is a comprehensive medical system with its unique principles, diagnostic methods and therapies. It is believed that general health and well-being depend on the balance of Yin and Yang and the smooth circulation of Qi (life energy) and Blood which are all inter-related and inter-linked within our body. With the use of various TCM therapies including acupuncture and chinese herbal medicine, TCM works at achieving Yin Yang balance and restoring smooth circulation of Qi and Blood, thereby improving internal body functions and relieving different symptoms. It is always very important to maintain good health and well-being at all times with regular treatments even before any sign of illness appears. TCM therapy can be used for general health maintenance and curative treatment that treat the underlying causes. fully qualified with professional training and many years of practice and experience. registered with the Singapore TCM Practitioners Board. The Traditional Chinese Medicine Practitioners Board (TCMPB) is a statutory board established under the Traditional Chinese Medicine Practitioners Act 2000. TCMPB registers TCM practitioners (both acupuncturists and tcm physicians), accredits TCM institutions and TCM courses for the purpose of registration and regulates the professional ethics and conduct of registered TCM practitioners.